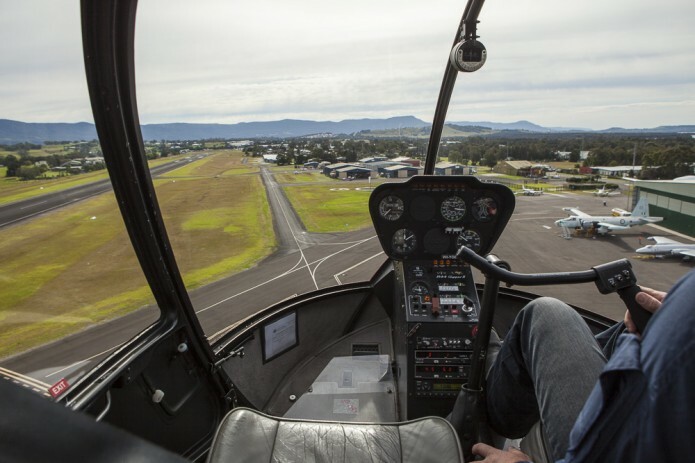 Aerial photography, as you may obviously expect, is all about capturing images from the vantage point of an aircraft. Whilst aerial photography has been around for close to 100 years, the recent advent and commercialisation of drone aircraft (officially known in Australia as Unmanned Aerial Vehicles – UAVs, or Remote Piloted Aircraft Systems – RPASs) has pushed this field into the limelight. Additionally, services such as Google Maps or Google Earth have brought this style of imagery into the forefront of people’s minds. The benefits of using an aerial photographer may seem obvious. Unusual angles and vantage points, capturing footage unobstructed by ground cover, showing context between elements in an image, and more. What is not so obvious for many is the choice of which path to take in order to capture images or video footage. There are many who believe that UAV (drone) aircraft are the solution to all problems. Whilst they offer scope and opportunities beyond traditional aircraft, they simply do not cover all solutions. In Australia the usage of all aircraft falls under the domain of the Civil Aviation Safety Authority (or CASA as it is known). They determine how and where aircraft may be flown, and which considerations and processes need to be observed. Whilst most people understand that this happens with full scale aeroplane and helicopters, many do not realise that there are rules and regulations covering the usage of UAV aircraft. It is the combination of these operational rules, together with the intended purpose for the images that will determine which method of capture will be best. A quick note: CASA have recently been searching the internet and YouTube for footage captured by un-licensed UAV operators. Whilst it is not illegal to fly and film from a UAV without being licensed, it is illegal to do so for business use. Hefty fines are strong possibilities, all the way up to potential jail time for extreme cases that endanger people. Make sure you use a licensed UAV operator if you decide to select this option. Update: It is now possible to fly a small (under 2kg) drone for business use with restrictions, without being licensed. The primary concern for buyers is that the operator will be uninsured. The first step in the equation is to work out what you want from your soon-to-be-captured images. Do you need stills images, video footage, or both? Do you want to show your subject in context to surrounding areas? Do you want only close context or a wider view? Do you want a top down view? Is it important to get physically close to the subject, i.e. to see close-up detail, or would this be achieved better with a longer lens? What is the intended end purpose for the images? Will you need high resolution files or will moderate resolution be acceptable? These questions and others can be asked by your aerial photographer to help determine the best options for your shoot in regard to the images themselves. The second step is to consider the strengths and limitations of the various aircraft. A few basic ones are listed below, however your aerial photographer / operator / pilot will be able to answer in more detail. A short list of the pros and cons of each type are below. Please note that comments on cost can be extremely variable depending upon the size of the various aircrafts, and the comments are based on a standard model chosen in each category. Normally only allowed to fly above 500 feet (about 150 metres) and in populated areas must be above 1000 feet. Curiously, can be the most cost-effective option of the three. Can carry heavier equipment than UAVs. Many more options for cameras, lenses, and more. Photographer shoots directly rather than via a controller device. More exact and responsive, though balanced against the potential awkward shooting positions (see below). As aircraft required continual forward motion, not possible to shoot from a static or slow moving position. Can be more awkward shooting due to wing placement, manoeuvrability within the aircraft, and other factors. Generally more expensive than aeroplanes. More expensive than drones if photographing / filming a single location. May be comparable if shooting at multiple locations concurrently. Photographer shoots directly rather than via a controller device. Much more exact and responsive. Can fly slowly, hover, or tightly circle a location, allowing greater control in obtaining the desired shot. Must stay below 400 feet (about 120 metres). Generally cheaper than helicopters but more expensive or on-par with aeroplanes, especially for single locations. Highly manoeuvrable and able to access smaller spaces. Potentially able to fly close to subject matter. Has strong limitations on the type of camera and lens equipment used due to weight considerations. Normally only smaller cameras and wide or ultra-wide lenses. Great for capturing single locations. Less useful for capturing wider contextual images due to ground proximity and wide angle lenses. There is no doubt that UAVs have opened up the possibilities for aerial photography and filming, to fill the gaps of what is possible to capture from helicopters and aeroplanes. As stated before, there is no one-size-fits-all solution. If you have a project in mind that can use aerial photography, the best option is to speak with a knowledgeable professional who can help you sort through the numerous factors, and find the solution that fits you.